MOSCOW, March 7. /TASS/. 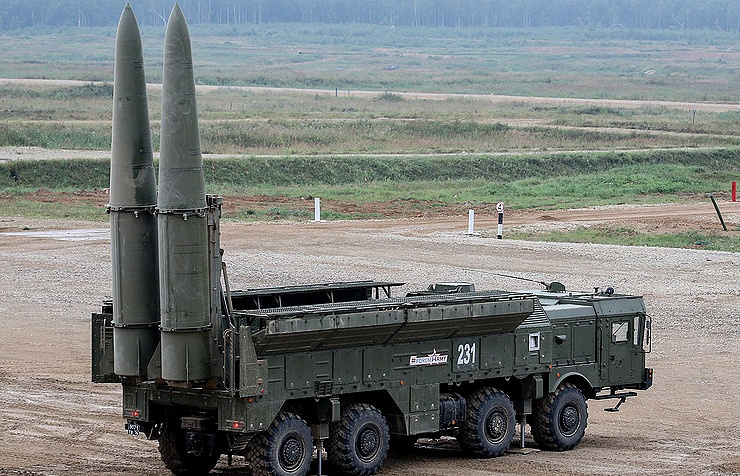 Other countries will not be able to design a rival to Russia’s Iskander-M mobile short-range ballistic missile systems before 2025, Russian Ground Forces Commander-in-Chief Col. Gen. Oleg Salyukov told the Russian Defense Ministry’s official Krasnaya Zvezda daily on Wednesday. "According to designers, foreign states will be able to create its counterpart no earlier than in 2025," Salyukov said. According to the official, the rearmament of Russian missile formations with Iskander-M missile systems continues as planned. Iskander tactical ballistic missile systems are capable of hitting both small-size and large-area targets at a distance of up to 500 km to destroy missile and multiple launch rocket systems, long-range artillery guns, aircraft and helicopters at aerodromes, command posts and communications centers. 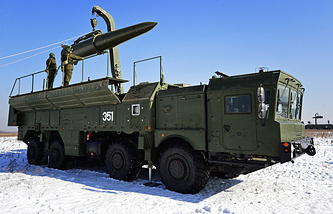 The Iskander tactical ballistic missile complex includes a launcher, a loader-transporter, a routine maintenance vehicle, a command post vehicle, an information post, an ammunition equipment set and training aids.